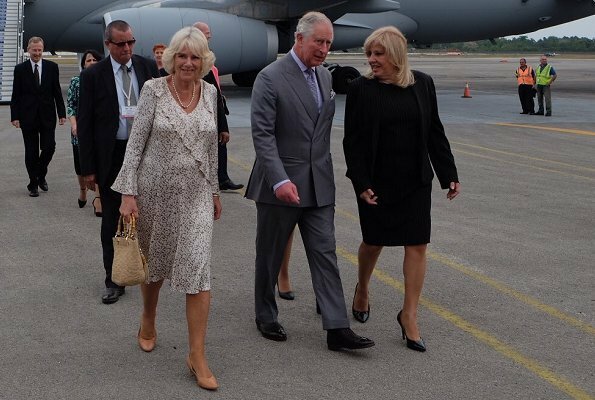 On March 24, 2019, The Prince of Wales and the Duchess of Cornwall arrived at José Martí Airport in Havana, the capital of Cuba. 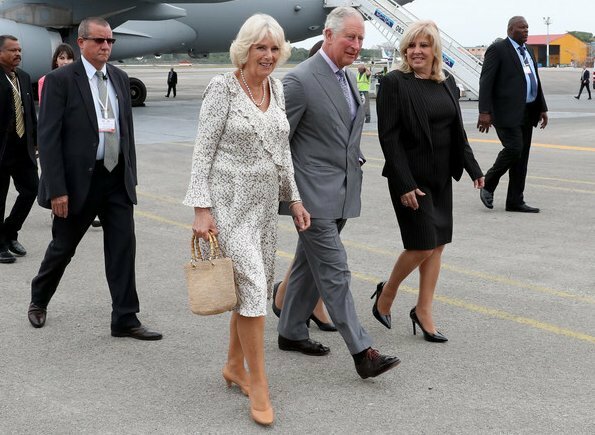 Arriving in Havana, The Prince of Wales and The Duchess of Cornwall were greeted at the airport by the Cuban Vice Minister of Foreign Affairs, Rogelio Sierra Diaz. 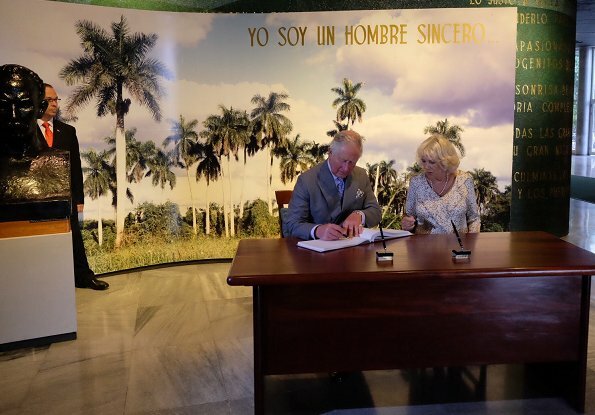 The State visit began with a wreath-laying ceremony and The Prince of Wales laid a wreath on the José Martí Memorial at Plaza de la Revolución Square. 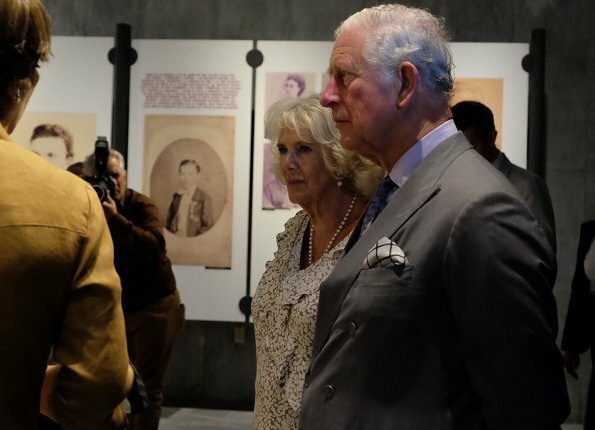 Afterwards, The Prince of Wales and The Duchess of Cornwall tour the José Martí exhibition, learning more about his life. 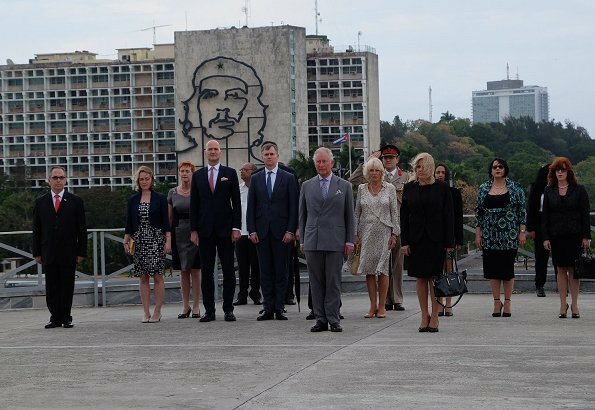 History making State Visit to Cuba. Well somebody has to be the first, why not Charles and Camilla. I do like her dress. 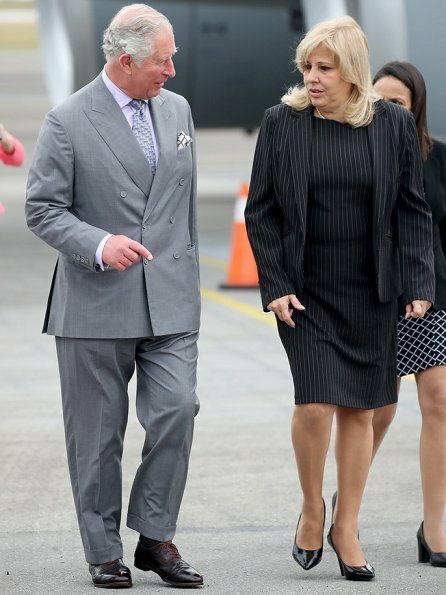 Saying "Prince Charles" instead of "Duke of Cornwall" makes it sound as though this married couple don't even know each other! They are the Duke and Duchess of Cornwall. non le titre principal de l'héritier du trône britannique est "Prince de Galles" ; nous savons bien que Camilla a choisi de se faire appeler Duchesse de Cornouailles car le titre de Princesse de Galles était trop marqué par Lady Diana. 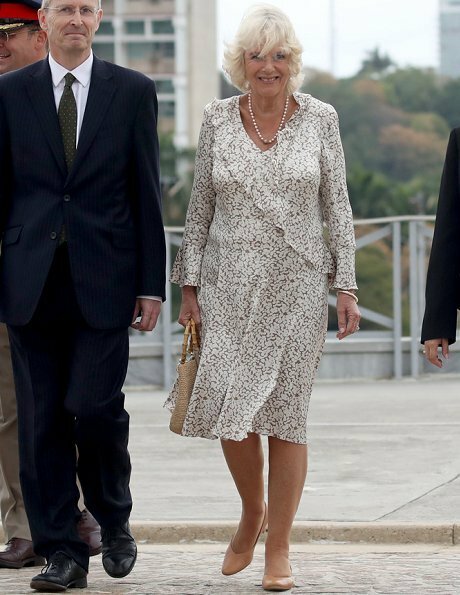 Love Camilla's purse, so perfect!